Personal Details Philip L. Bruner, Esq. 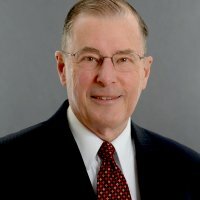 is one of the world’s leading full-time arbitrators, mediators, and resolvers of construction, engineering, and infrastructure claims and disputes arising in the United States and globally. He is a distinguished member of the panels of neutrals of both JAMS and JAMS International, and is the director of JAMS Global Engineering and Construction Group. For more than 25 years prior to joining JAMS, he was a member of panels of arbitrators of other dispute resolution organizations. Education Mr. Bruner earned his Bachelor of Arts Degree in History from Princeton University, Juris Doctor Degree from the University of Michigan Law School, and Masters in Business Administration Degree from Syracuse University. Qualifications and Past Experience Following law school graduation and military service as a Judge Advocate in the United States Air Force, he engaged for 40 years in private practice of law in Minnesota’s Twin Cities with the law firms of Briggs and Morgan PC (1967-1983 as an associate and partner), Hart & Bruner PA (1983-1990 as senior partner), and Faegre & Benson LLP (now Faegre Baker Daniels) with offices then in Minneapolis, Denver, Des Moines, Boulder, London, Frankfurt and Shanghai (1991-2007 as senior partner and founding head of the firm’s Construction Law Group). As a practicing lawyer for over 40 years prior to becoming a full-time neutral, Mr. Bruner concentrated on construction, engineering, energy and infrastructure litigation and was lead counsel in over 100 arbitrations and litigated cases venued in over 30 states. He also mediated or participated in mediation of numerous cases. Represented parties included the spectrum of construction industry participants: public and private owners, contractors, subcontractors, specialty contractors, architects, engineers (civil, structural, mechanical, electrical, geotechnical, hydrological), sureties, insurers, material manufacturers, material suppliers, equipment suppliers, construction lenders, and construction accountants. Current Occupation On January 1, 2008, Mr. Bruner joined JAMS as a full-time arbitrator, mediator, and dispute resolver, and as head of JAMS Global Engineering and Construction Group of neutrals engaged in dispute resolution worldwide. Expertise As an arbitrator, Mr. Bruner has chaired or served on numerous U.S. and International arbitration tribunals. As a mediator, Mr. Bruner has successfully mediated settlements of large and complex multi-party infrastructure, energy, engineering, construction and other disputes among as many as 20 parties. His publications have been cited in more than 300 judicial opinions published on Westlaw and issued by U.S. Circuit Courts of Appeal, U.S. District Courts, state supreme and appellate courts, U.S. and state courts of claims, and U.S. Commonwealth and Territorial Courts, as well as in countless arbitration awards, national and international law review articles, administrative decisions, counsel briefs, and memoranda of law. - Transmission Line Project, Texas. Tribunal Chair and arbitrator appointed by the AAA/ICDR to decide claims between international parties arising out of the construction of a $570 million, 400 mile 345 KV electrical transmission line. - Military Facilities Renovation, Oklahoma. Mediator of claims aggregating $8,000,000 for disruption, acceleration and delay between a contractor and subcontractor regarding military facilities renovation work.